Died along with 9 students in his graduate-level Advanced Hydrology class. Dr. Govichettypalayam Vasudevan (G. V.) Loganathan served as Professor of Civil and Environmental Engineering at Virginia Polytechnic Institute and State University (now called Virginia Tech), Blacksburg, Virginia since 1982. He received a Bachelor of Engineering (Civil Engineering) from Madras University in 1976. In 1978, he received a Master's degree in Civil Engineering from the Indian Institute of Technology in Kanpur, India. He earned the Ph.D. in Civil Engineering from Purdue University, in 1982. His Ph.D advisor was Dr. Jacques W. Delleur. Dr. Loganathan was an accomplished researcher in the field of hydrology and water resources systems within the civil engineering discipline. Some specific areas, of his research included: i) Analysis, Design and Rehabilitation of Water Resource Infrastructure Systems; ii) Radar Hydrology; iii) Hydrologic Forecasting; iv) Risk Analysis; v) Floods, Droughts, and Low Flows; vi) Stormwater Management; vii) Geostatistics; and viii) Environmental Systems Optimization. He published more than 150 refereed publications that have appeared in a variety of journals including ASCE's Journal of Water Resources Planning and Management, Journal of Irrigation Engineering, Journal of Environmental Engineering, and the Journal of Surveying Engineering. He also published in Civil and Environmental Engineering Systems, Engineering Optimization, Groundwater, Nordic Hydrology, Operations Research, the AWRA Water Resources Bulletin, Water Resources Management, AGU's Water Resources Research, and Water Science and Technology. Other significant publications appear in Applications of Management Science, Encyclopedia of Water, Handbook of Operations Research and Management Science, and Water Resources Handbook. He supervised more than forty-five graduate students (Ph.D and M.S.) during his tenure at Virginia Tech. Some of his students, including several international Ph.D. students, have themselves gone on to university faculty positions. 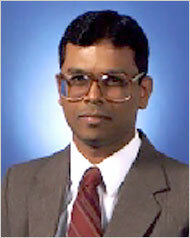 Dr. Loganathan's research was funded by various state, local and federal agencies and foundations, including the Virginia Department of Environmental Quality, US Geological Survey, US Agency for International Development, National Science Foundation, Prince William County, Weston Engineering Group, City of Philadelphia, and the Water Environment Research Foundation. Dr. Loganathan was one of the best teachers at Virginia Tech and has received virtually every teaching award offered by the University. He was a four-time recipient of the College of Engineering Teaching Excellence award. Most recently he received the prestigious University level Wine Award for Excellence in Teaching in 2006. Students (both undergraduate and graduate) loved him as they were his topmost priority. On several occasions his teaching evaluations ranked among the top ten faculty members in the entire College of Engineering (300 faculty). He consistently received the Outstanding Teaching Award from the Department of Civil Engineering, based on student recommendations. He spent many hours discussing teaching and research issues with his students and colleagues. Dr. Loganathan was frequently invited to serve as an expert panelist at various forums on teaching excellence at both the undergraduate and graduate levels. One of his last efforts in this area included a series of workshops directed at training for graduate teaching assistants with responsibility for running a hands-on teaching lab in the department of Engineering Education. In addition to his water resources research, G. V. Loganathan also was involved in engineering education research, particularly since 2003. In this regard he was one of 10 key investigators on two NSF grants totaling over $1M in funding, the purpose being to improve teaching delivery and pedagogical systems for undergraduate students in the College of Engineering. Dr. Loganathan exemplified a complete dedication to teaching and a total commitment to serving his many students. He will be long remembered as an inspiration to those whose lives he touched. G.V. Loganathan was so devoted to his engineering students at Virginia Tech that he sometimes pulled all-nighters with them. Students and Virginia Tech graduates alike recalled the Indian-born professor as approachable, humble and kind — and always willing to talk over an engineering problem, no matter what time of day. "There were many nights when we’d stay up all night together so he could give me guidance with reports or papers for conference," said Craig Moore, a Virginia Tech doctoral student who was one of Loganathan’s advisees and friends. "He was so devoted to his students, he would teach a full load throughout the regular year and then during the summer too," Moore added. "He was the most natural teacher — always able to relate things in a way that students could understand." According to the Washington Post, Loganathan was born in the southern Indian city of Chennai and had been a civil and environmental engineering professor at Virginia Tech since 1982. Loganathan had served on the faculty senate and was an adviser to about 75 undergraduate students, the Post reported. "We all feel like we have had an electric shock, we do not know what to do," his brother G.V. Palanivel told the NDTV news channel from the southern Indian state of Tamil Nadu. "He has been a driving force for all of us, the guiding force." Ryan Fedak, a Roanoke engineer and former student, said Loganathan always taught "with a smile on his face." "He’s very humble and didn’t want people fumbling over his last name, so he asked us to call him ‘Dr. L,’ " Fedak added. Loganathan was shot while teaching an advanced hydrology class. 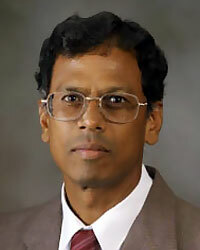 A native of India, Loganathan won several teaching awards, including the university’s 2006 W.E. Wine Award for Excellence in Teaching as well as a best-professor award voted on by students. He’s survived by his wife, Usha, and two daughters, Uma, an engineering student at The University of Virginia and another daughter who is a student at Blacksburg Middle School. The family declined to be interviewed. G.V. Loganathan, 51, was a professor of civil and environmental engineering specializing in hydraulic networks and water resources systems analysis and design. He was born in the southern Indian state of Tamil Nadu and attended the Indian Institute of Technology, Kanpur, before moving to the United States in 1982 to study for his Ph.D. at Purdue University. An Indian television station quoted his mother as saying "He was a very good student and always topped his class." "It's a terrible shock," said the mother, who was not named. "He rang two days ago and said he planned to move back to India in the next couple of years." Relatives told the Indian news station NDTV 24/7 that Mr. Loganathan was teaching a civil engineering class when the gunman came into the classroom and commenced shooting. He is survived by his wife and two daughters, one of whom is a student at Virginia Tech, according to the broadcast reports. Indian publications said Mr. Loganathan had expressed the preference to be buried in Virginia if something happened rather than have his remains returned to India. His parents and other relatives were making plans to come to the United States to perform last rites. The current president of IIT Kanpur, Sanjay Dhande, described Mr. Loganathan as a friend. Speaking on Indian television, he said he was "a very simple person, a very modest, a very family oriented person who was doing his duty, giving a lecture." G.V. Loganathan, 51, was doing what had earned him multiple awards during his 25 years at Virginia Tech: teaching. The civil engineering professor was teaching Advanced Hydrology in Norris Hall when the gunman arrived. "We all feel like we have had an electric shock, we do not know what to do," his brother G.V. Palanivel told the NDTV news channel in Loganathan's native India. "He has been a driving force for all of us, the guiding force." Loganathan was married with two daughters. He had served on faculty senate and advised about 75 undergraduate students. Brandon Zimmer, a civil engineering major from McLean, Va., said Loganathan was "one of the best professors" at Virginia Tech. "He really enjoyed (teaching) water and water resources. … As clichéd as it sounds, I honestly don't know anybody who doesn't like him." G.V. Loganathan, a professor who had been at Tech for 25 years, was teaching advanced hydrology to 14 students Monday when the gunman arrived. His death was one of many the department of civil and environmental engineering is now mourning. Nine students were killed with Loganathan in the classroom, the department chairman said. Loganathan, 51, who was born in India, was remembered as a quiet and dedicated scholar who took time to get to know each student he taught. He specialized in water systems and hydraulic networks. In India, his brother G.V. Palanivel told the NDTV news channel from the southern state of Tamil Nadu: "We all feel like we have had an electric shock. We do not know what to do. He has been a driving force for all of us, the guiding force." At his Blacksburg home, a friend said by telephone that a close network of friends and family respected his wife's and daughters' desire for privacy at this time. Department chairman Bill Knocke described Loganathan as "pure of heart" and said he had won multiple teaching awards. Students respected him, said Yvan Beliveau, director of the Myers/Lawson School of Construction at Tech, who remembered when Loganathan was a young faculty member who felt his teaching was subpar. "He worked really, really hard at it," and students responded, Beliveau said. "There could be a class of 120 and G.V. would remember every student by name," Bill Knocke, the department chairman, said. Loganathan received his bachelor's degree from Madras University in India, his master's from the Indian Institute of Technology and his doctorate from Purdue University. He had been an associate editor of the Journal of Hydraulic Engineering, a member of the faculty senate and a counselor on the university's honor court. He was soft-spoken and formal. "It probably was six years into my tenure as department head before I got him to call me anything but Dr. Knocke. It was only after I refused to call him anything but Dr. Loganathan that he said 'OK, all right.' " On a hot Virginia day, Knocke would tell him, "It's the summer, lose the tie!" And he was kind, his colleague Randy Dymond said. When Dymond's father was diagnosed with terminal cancer, he told Loganathan and started to ask if Loganathan could cover his classes while Dymond was away. He didn't even have to finish the question. Dymond, speaking by phone from Blacksburg, paused to collect himself. "That's what we're doing for him now," he said. Figuring out how they can cover his classes. Many engineering colleges have begun retooling their curricula to combat troublingly high drop-out rates and to prepare students better for jobs after graduation. G.V. Loganathan, an engineering professor at Virginia Tech who earned numerous awards for his teaching, was in the thick of those efforts. Mr. Loganathan, 50, had joined 17 colleagues at the university in a $1-million effort to improve engineering pedagogy, using the latest research about how students learn. The money came from a three-year grant from the National Science Foundation. The effort was a natural fit for Mr. Loganathan’s interest in helping students develop. In 2006 he won one of three university awards for excellence in teaching, and the College of Engineering had honored him with at least four other such honors. “He knew right away if we didn’t understand” material he was teaching, says Joseph A. Tomlinson, a senior in civil engineering. “If we didn’t, he had no problem going back and trying to get us to learn it.” Once Mr. Loganathan used characters from Star Trek to help explain a concept involving acceleration. “I’ve had few teachers work as hard as he did,” Mr. Tomlinson says. Before Thanksgiving break in November, “he told us that he hoped we had fun visiting our families, and he was going to see his family and study” course material. A native of India, Mr. Loganathan came to the United States in the late 1970s to pursue a doctorate at Purdue University. In 1982, he joined the faculty of Virginia Tech. His research specialty was hydrology and the development of environmentally sustainable water-supply systems. Outside of work, he enjoyed travel, chess, reading, and badminton. But ever the engineer, he was known for often wearing a pocket protector under a sweater vest. Virginia Tech University Professor G V Loganathan's death on Monday has left his family reeling. Loganathan of the Department of Civil and Environmental Engineering was teaching in a class in the Norris Hall – one of the crime scenes – when the gunman went on rampage and claimed 33 lives. Loganathan's 78-year-old father fainted on hearing the shocking news of his death, and his 72-year-old mother, Kannammal is unable to understand why her eldest son had to pay with his life. "He was a wonderful son to me. He was the pillar of our family. It's a great shock and we are unable to recover from it," says Kannamaal. Loganathan, who was a diligent student and an achiever, passed out of PSG College of Technology in Coimbatore with a Civil Engineering degree. He later went to IIT Kanpur and then to Purdue University to complete his PhD. He had a brief stint as a lecturer in Ohio University and finally went to Virginia Tech where he said he had found his calling. Loganathan used to joke to his family saying he wanted to be buried in the university campus but it was wish that fate granted with a cruel twist. “An innocent man has been killed, this shouldn't happen to anyone else,” says Loganathan's brother, GV Palanivel. Even as Professor Loganathan's family awaits a reaction from the Indian government, an official from the Ministry of External Affairs is expected to meet the grieving family. His friends are still trying to come to terms with the loss. “It is very unfortunate that Loganathan got caught in the firing and succumbed to his injuries,” says Director, IIT Kanpur, Sanjay G Dhande. US president George Bush has also expressed shock at the incident. "We will help local forces and local authorities in any way we can in this time of sorrow,” says Bush. Loganathan is survived by his wife Usha and two daughters in Virginia. Family members, colleagues and friends recalled a man who acted as a brother to all. BLACKSBURG -- They came from as far away as India to say goodbye to their teacher, father and friend. Those who couldn't be there, including prominent Indian leader Sonia Gandhi, sent their personal regards. Several of the students wounded in Monday's shooting even managed to attend the funeral of Indian-born engineering professor G.V. Loganathan. One walked down the aisle of the Blacksburg Presbyterian Church on crutches to view his body and, along with 600 other mourners, place a single crimson rose petal on his chest. The eulogizers -- who ranged from fellow professors and graduate students to family members -- spoke foremost of Loganathan's persistent, humble leadership. He was a four-time recipient of the College of Engineering Teaching Excellence Award and yet he tucked his prestigious awards inside his closet, telling his wife, "There are people who are better than me." Teaching assistant Juneseok Lee -- the only one of Loganathan's five graduate assistants who wasn't killed in Monday's shooting -- remembered e-mails the professor regularly sent at 1 a.m., forcing "me to sit at my desk every night, and I had to respond right away." The e-mails usually started with: "Let me give you some brotherly advice ..."
Fellow professor David Kibler praised Loganathan for taking on practical water-resources research projects that many in the field refused -- research that Kibler predicted would lead to improved forecasting of flash-flood warnings and better drought management. The last conversation they had was a discussion about how to find funding for a needy, promising student. Loganathan proposed using money from the faculty's travel budget to keep the student in school. The 53-year-old demanded perfection of his students, said Vinod Lohani, a former student who later became his colleague. While Lohani prepared his dissertation, Loganathan patiently listened to him practice his oral presentation, urging him repeatedly to draft one more version and coaching him to pronounce certain words. Lohani said he was besieged with condolence e-mails from students as far away as Australia. "We lost count of the number of times he'd drive from his home in the middle of the night -- whenever he thought a question we had could best be answered in person," he said. Loganathan taught large classes with 100 students -- and "knew virtually everyone's name," recalled William Knocke, another engineering professor. He was a man who saw teaching as a noble calling, according to his brother, G.V. Sengotuvelavan, who remembered Loganathan's fondness for cricket, chess and James Bond films. "We all owe our lives to him, for he did his duty perfectly as the elder brother of all of us," he said. Loganathan's daughter Uma, an engineering student at the University of Virginia, called him her best friend and her hero. He frequently read her textbooks before she did to be able to engage her in discussions and debates. But his interests ranged far beyond engineering, she added, especially where his wife, Usha, and two daughters were concerned. "I could tell him the stupidest things, and he'd listen as if it was the most important thing on the planet," Uma Loganathan said. Throughout the two-hour service, members of Blacksburg's tight-knit Indian community took care of shepherding mourners through condolence lines, handing out programs and telling people where to park. National media were kept at bay, and cameras were not allowed inside the church. Newland Agbenowosi, a native of Ghana who studied under the slain professor for six years, had packed his infant and two toddlers into the back of his van Saturday for the five-hour drive from Northern Virginia with his wife. "I had to be here," he said. "It was the least I could do." Doctoral student Craig Moore rushed to the service after attending the funeral of Narrows native Jarrett Lee Lane, who was in Loganathan's class when he was killed. Moore had just taken his professional engineering exam, an open-book test in Richmond, the day before -- using books he'd borrowed from Loganathan. Among those who attended the funeral ceremony were Virginia Tech University president Charles Steger and some students who survived the gunman's rampage in Loganathan's class that fateful Monday morning, including a student who walked down the church aisle on crutches to view his late professor's body and placed a single crimson rose petal on his chest, as did all of the other mourners. Meanwhile, at the Donaldson Funeral Home in Odenton, Maryland, the same afternoon, more than 200 mourners, including about 65-70 students from Virginia Tech who had driven down for the funeral ceremony from Blacksburg, filed past the body of Minal Panchal, 26, who was also among those killed. Congress president Sonia Gandhi sent her heartfelt condolences in separate letters to Usha Logananth, wife of Professor Loganathan, and to Hansa Panchal, Minal's mother. Indian Ambassador Ronen Sen read out the condolence message during Minal's funeral ceremony. Anil Gupta, minister, community affairs at the Indian embassy in Washington, DC, represented the government of India at Loganathan's funeral. At both funeral ceremonies, there wasn't a single dry eye, but both Usha Loganathan and Hansa Panchal, while constantly wiping away tears, kept their composure and were supremely dignified while thanking mourners for their sympathies and presence. Loganathan, who hails from a village in Coimbatore, Tamil Nadu, was a professor in the university's Civil and Environmental Engineering Department for the past 24 years and was considered one of the department's top 10 professors. He was a four-time recipient of the College of Engineering's Excellence in Teaching Award in addition to several other honors and accolades, including Outstanding Faculty Award and Faculty Achievement Award for Excellence in Civil Engineering Education. Minal, from Mumbai, who completed her undergraduate degree from Rizvi College of Architecture in Mumbai (Class of 1998), was in her first year of Master's program in Building Sciences. Loganathan was eulogized by fellow professors, graduate, students, and family members, including his daughter Uma, 21, a final year engineering student at the University of Virginia in Charlottesville, and by his brother GV Sengotuvelavan, who had arrived from Chennai on April 19 with his parents and other immediate family members. Uma in reminiscing fondly about her father, called him "my best friend and hero," and recalled how he would "always read my textbooks before I did and then engage me in all kinds of discussions and debates." But she said that he was so versatile and even though she too was majoring in engineering, he would engage in several other topics too on subjects where her mother and her sister Abhirami,15, could also join in and recalled the interesting and friendly banter that would always permeate such joyous family discussions and debate. Gupta told India Abroad, "She (Uma) was so brave and so dignified and when she was recollecting these wonderful memories of her father and their family life together, several people simply broke down time and time again." It also reported how Newland Agbenowosi, a native of Ghana who had studied under Loganathan for six years, had packed his infant and two toddlers into the back of his van Saturday for the five-hour drive from Northern Virginia with his wife. "I had to be here. It was the least I could do," he said. Another student of the slain professor, Craig Moore, had rushed to the service after attending the funeral of a student Jarrett Lee Lane, who was in Loganathan's class in the Norris Building when he too was killed. Moore, who had just taken his professional exam -- an open-book test in Richmond, the day before -- spoke of how he used books borrowed from Loganathan to study for this exam. Perhaps the eulogy that brought smiles to the faces -- and even some laughter in the pews of the church -- where the mourners sat dabbed at their eyes constantly, were the recollections by Sengotivelavan who spoke of Loganathan's love for James Bond movies as well as Tamil films, particularly those starring M G Ramachandran and Sivaji Ganeshan. "He also loved cricket and chess," Sengotivelavan said, adding that his brother was a close personal friend of former Indian cricket caption Sunil Gavaskar. Several of Loganathan's colleagues, who all said he was a 'wonderful friend,' spoke of how humble, simple and unassuming he was and how devoted and dedicated he was to his work and the quintessential perfectionist who would not rest till he got it right. David Kibler, a fellow professor, according to the Times, praised Loganathan for taking on practical water resources research projects that many in the field would shy away from -- research that Kibler predicted would lead to improved forecasting of flash-flood warnings and better drought management. Kibler said that the last conversation he had with Loganathan was a discussion about how to find funding for a needy, promising student, and that Loganathan had proposed using money from the faculty's travel budget to help keep this student in school. Another colleague and a former student, Vinod Lohani, said he had been inundated with condolences messages from students of Loganathan from as far away as Australia and recalled his commitment and dedication to his students, saying, "We lost count of the number of times he had drive from his home in the middle of the night -- whenever he thought a question we had could best be answered in person." Lohani remembered with gratitude how his former teacher who became one of his closes friends and colleagues who always demanded perfection from his students, had coached him though his doctoral dissertation, patiently listening to him practice his oral presentation and then urging him to repeatedly draft several new versions did he got it right and also making him practice the correct pronunciation of several key words. Similar sentiments were echoed by Juneseok Lee -- the only one of Loganathan's five graduate assistants who was not killed -- and recalled e-mails of Loganathan always beginning with, "Let me give you some brotherly advice" particularly those usually sent out to him in the dead of night, 'which would force me to sit at my desk every night, and I had to respond right away." Minal's funeral ceremony began with a nearly 40-minute puja with the reciting of several shlokas followed by the eulogies and viewing. One of the eulogies was delivered by a college friend of hers from Mumbai who spoke of how vivacious "cheerful and bubbly." The mourners were also provided with a program that contained several photographs of Minal, with family and friends, and contained a tribute that read: "Minu, thank you for everything -- the love, happiness and inspiration and much more that you brought into our lives." After the viewing, Minal was cremated in the same funeral home while Loganathan's body was moved from the Presbyterian Church to the McCoy Funeral Home in Blacksburg, for cremation in the presence of family members only. The high regard and fondness that students in the Via Department of Civil and Environmental Engineering feel for Dr. G.V. Loganathan is a reflection of the fact that they were his top priority. Phrases such as “the best professor I ever had,” “the kindest person I’ve ever met,” and “incredibly wise and gentle” are common among the tributes paid to Dr. Loganathan by undergraduate and graduate students. Born in the state of Tamil Nadu, India, in 1954, G.V. attended Madras University and the Indian Institute of Technology in Kanpur before journeying to the U.S., where he earned a Ph.D. in civil engineering at Purdue University. In December 1981, he joined the faculty of Virginia Tech and embarked on a remarkable career as one of the university’s most accomplished educators and one of the nation’s most respected researchers in the fields of hydrology and water resources systems. Dr. Loganathan published more than 150 peer-reviewed papers in major water resources journals throughout the U.S. and abroad. His research findings have been used extensively by municipal water supply professionals. Much of Dr. Loganathan’s time was devoted to training future generations of engineers and engineering faculty. In addition to the multitude of undergraduates who learned the principles and practices of water resources engineering under his guidance were numerous graduate students. G.V. directly supervised about 50 Ph.D. and master’s degree students at Virginia Tech, and many of them have flourished as faculty members at major universities. Virginia Tech recognized Dr. Loganathan’s talent as an educator and his exceptional devotion to students by presenting him with virtually every teaching honor offered by the university, including the 2006 W.E. Wine Award for Excellence in Teaching, as well as four College of Engineering awards and the Via department’s Outstanding Faculty Award. Through the Virginia Tech Foundation, the G.V. Loganathan Memorial Faculty Support Fund has been established at Virginia Tech in his memory. For more information and/or to donate to this memorial fund, see VT's Hokie Spirit Memorial Funds page.